What do we do now? We’ve found paradise in Koh Kut. We found our home again in Pai. Is it possible to find anything that will beat those two recent experiences? As much as we work to avoid trying to recreate those adventures it seems to be human nature to look back and try to find them again as we travel. With all this in mind we shrugged our shoulders, picked a direction, and headed on down the road. 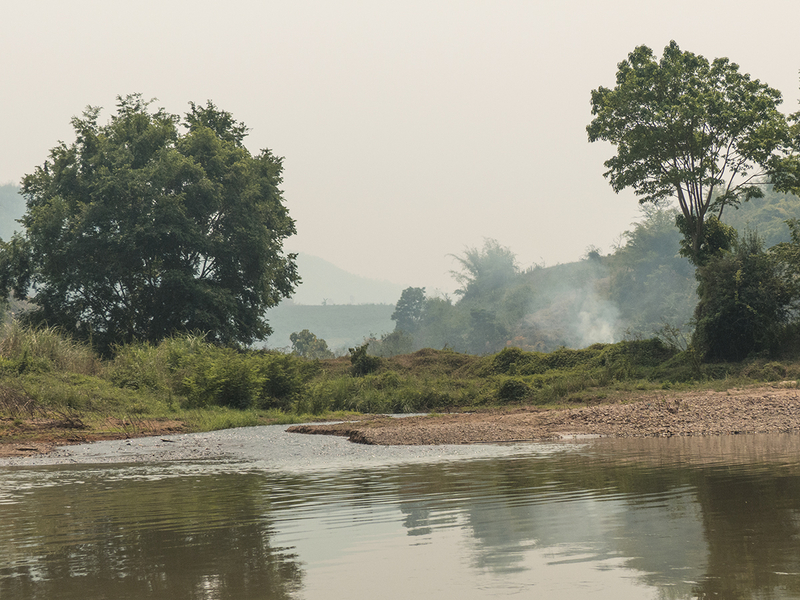 We decide to head to Chiang Rai with the idea of eventually crossing to Laos again. In order to get to Chiang Rai we had to travel back down from Pai to Chiang Mai by minivan and then catch a large bus called Green Bus at the Arcade bus station to Chiang Rai. We did the whole thing in two days with an easy bus ride each day. Chiang Mai to Chiang Rai was about 3.5 hours. side note: all the books say the 3 hour minivan ride from Pia to Chang Mai will make you sick because of the windy roads but we say HA. It is nothing compared to the road between Vientiane and Vang Vieng. We are very far north now, about horizontal with Luang Prabang in Laos. North does not mean less heat though; temperatures are in the 90s everyday. 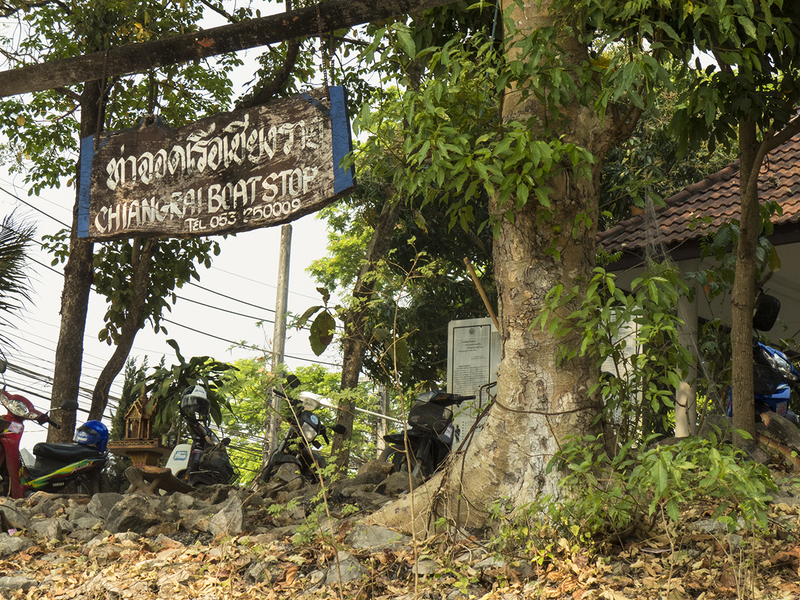 After getting off the bus in Chiang Rai we walked to an inexpensive hotel called Baan Worboradee; 500 baht per night. Hot water, air con, and reasonably comfortable beds. 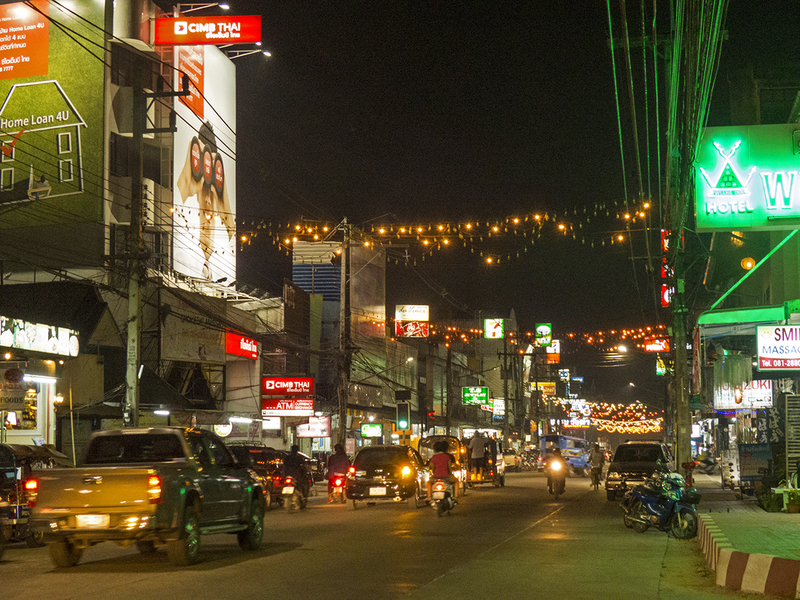 Chiang Rai is not really a tourist town compared to Chiang Mai and Pai. 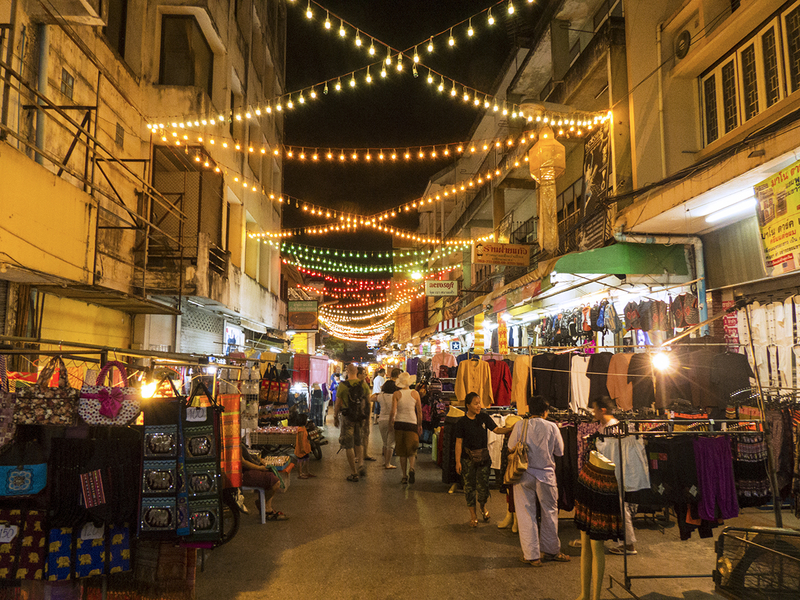 A short walk away from our hotel is a night market with a good energy and many little stalls selling all kinds of food. 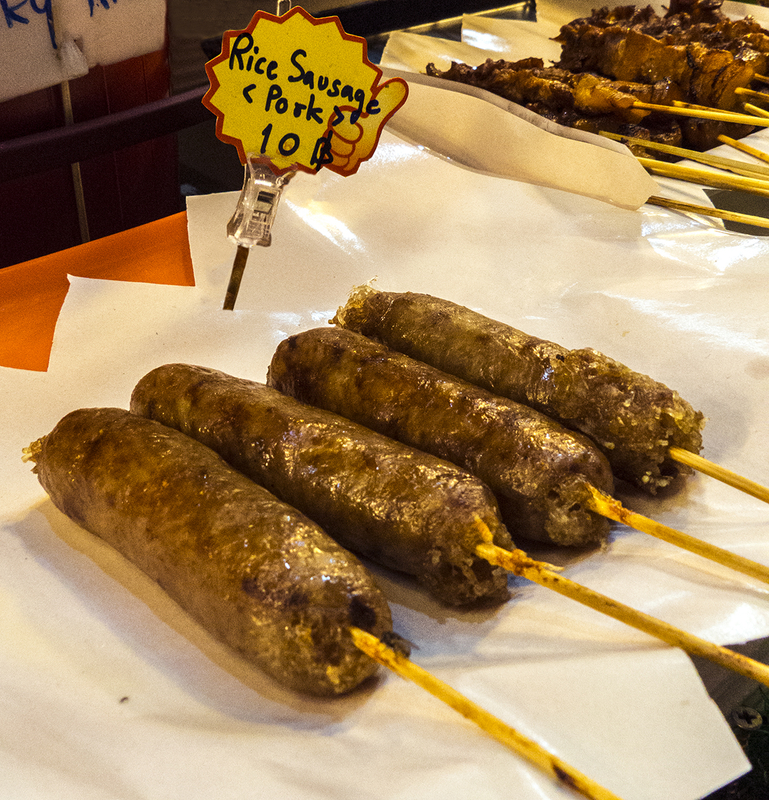 We tried a local sausage filled with rice. Better than any hot dog I ever had. 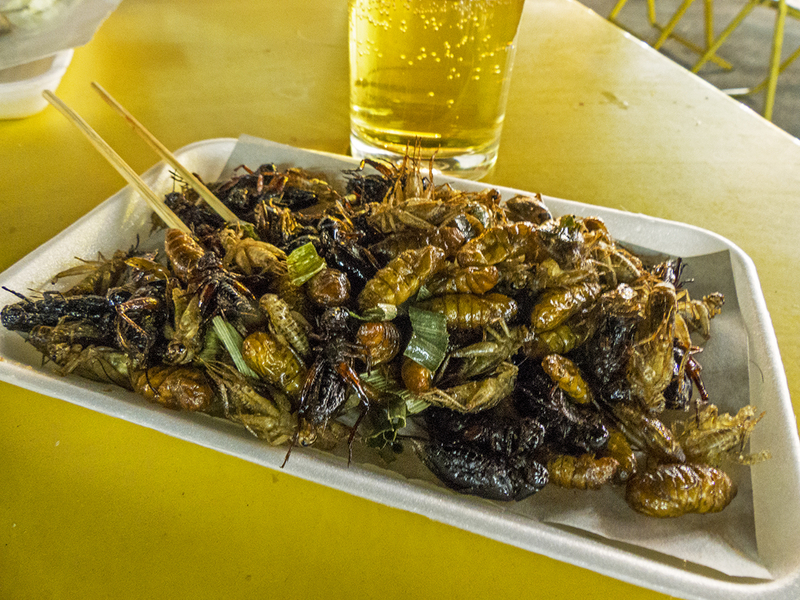 We also tried the local crispy bugs. My favorite are the crickets. Nice and crispy with a salty fried taste. Just close your eyes and imagine popcorn. It’s really not bad. 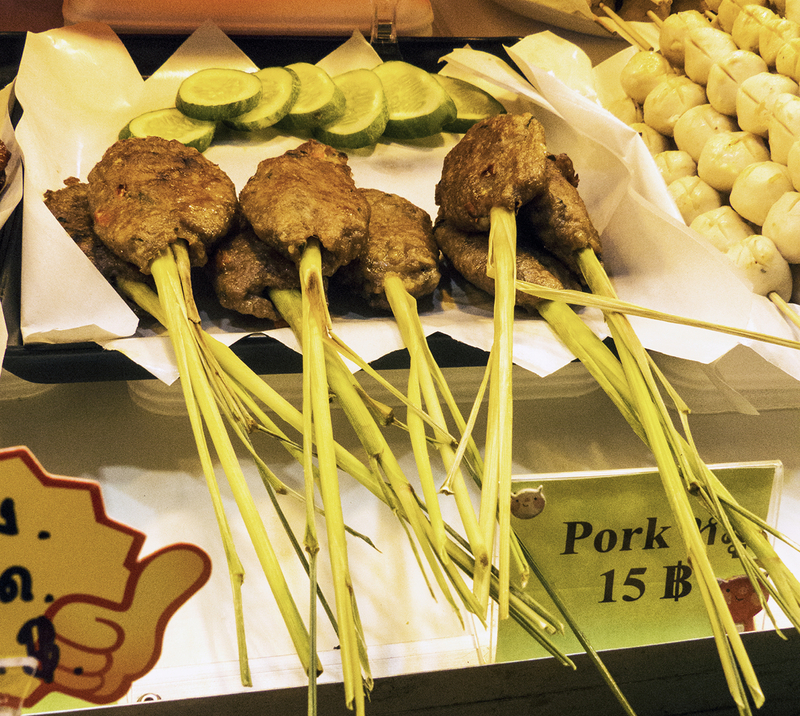 Long ago the bugs were an important source of protein for the locals during the dry season. They have perfected cooking them and sizes range from large bugs (do not look appetizing to me) to small larvae with crickets and crunchy medium size insects in between. 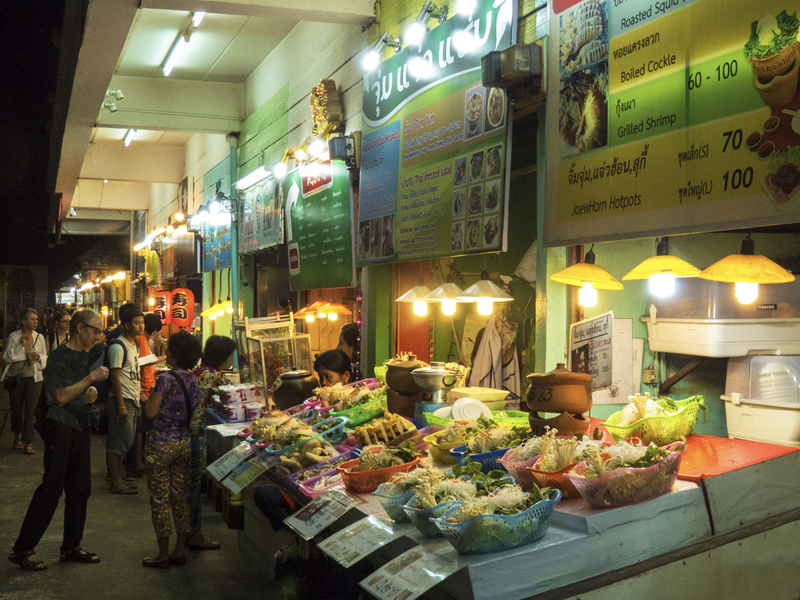 My favorite market experience in Chiang Rai was a Saturday night walking street where what feels like the entire city turns out for a stroll down a main street lined with vendors selling just about everything. All of the locals are there people watching or shopping. Young children from a local school are dancing ancient Lanna dance or amazing local teenage kids are performing flips and spins as they show off their house dancing moves. As we strolled along it felt a little bit like I had gone back in time to the days growing up in Santa Maria when we would all cruise the main street at night or hang out at the local Jack in the Box (fast food joint) so we could watch our friends drive by. A local social event and a harmless way to spend Saturday night rubbing elbows with your neighbors. Michel and I found ourselves tiring of the city life very quickly so we opted for one of favorite things to do; a river trip. 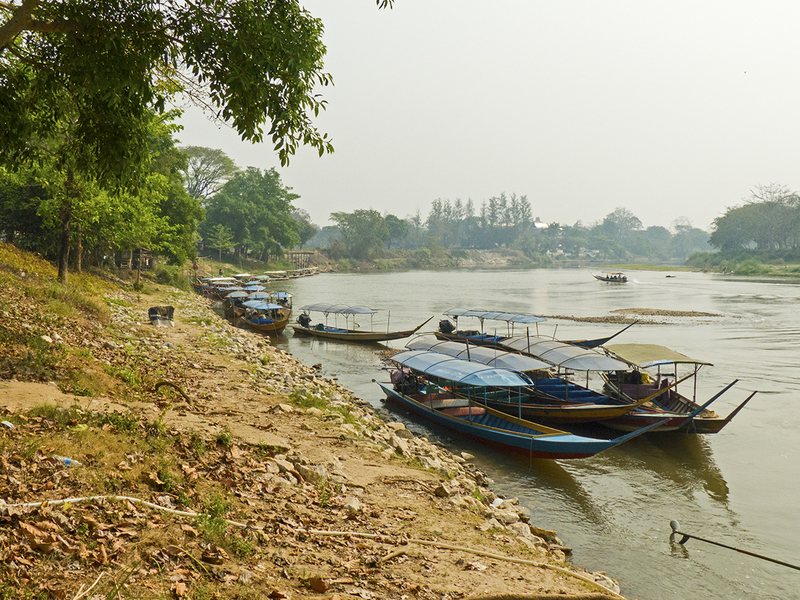 There are long tail boats running up and down the river between Chiang Rai and a small town near the Burmese border called Tha Ton. As usual the river trip was complete bliss. 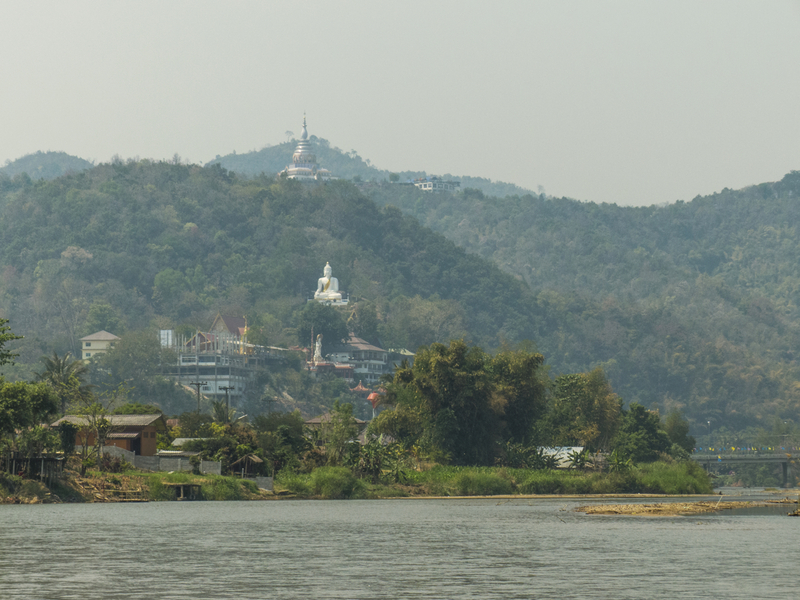 We travelled through the valley of Chiang Rai and then up into the mountains above. 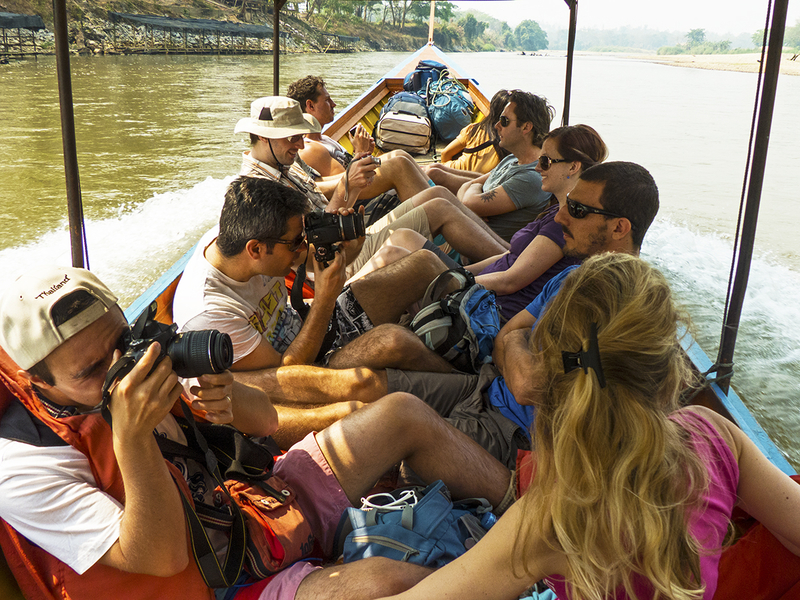 Our boat was full of tourists on a “tour” heading up to a local elephant camp. We dropped them off after an hour or so and had the boat almost to ourselves the rest of the way. 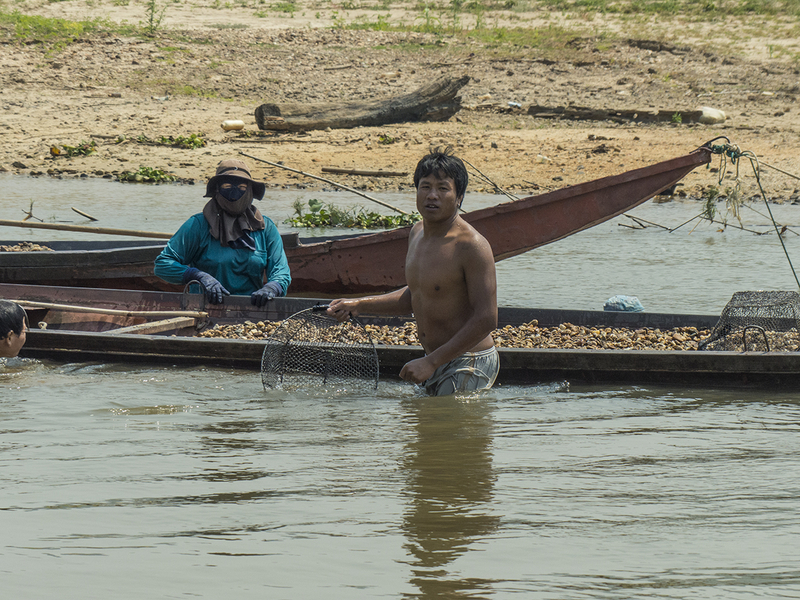 We watched the locals fishing and filling their boats with clams that live in the riverbed. Occasionally the captain would stop to drop off or pick up a local along the way. 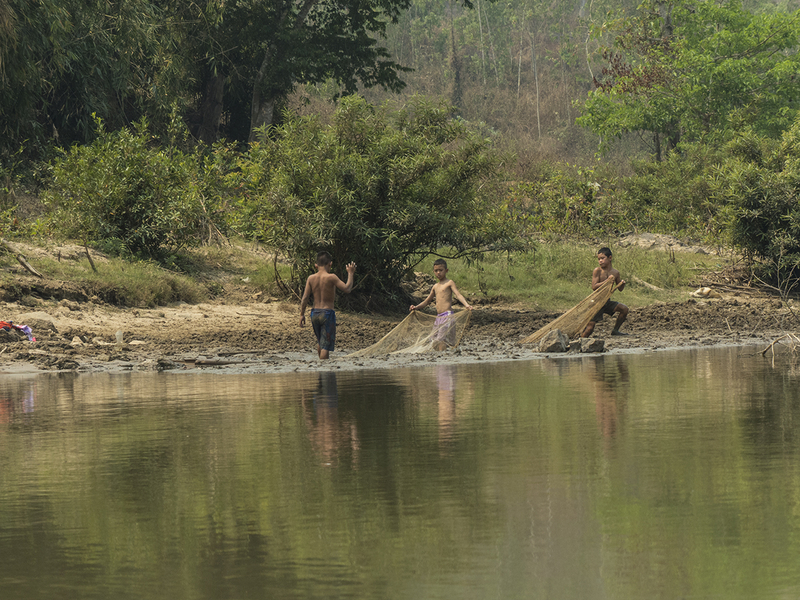 The Kok river is very low now and we did run a ground once. Michel and the captain both jumped into the water to push us back on course. 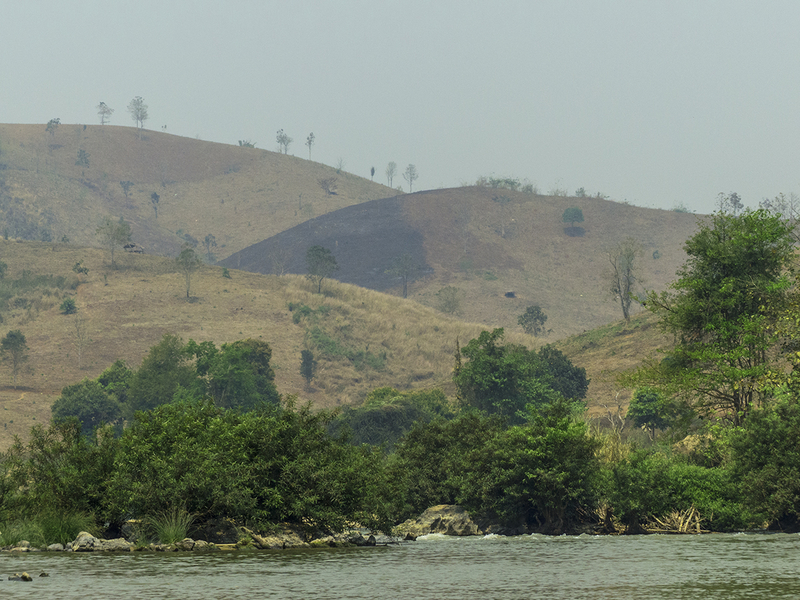 As we continued up the river the already hazy skies grew increasingly grey. The locals up in the north practice slash and burn agriculture. This means in March and April, before the rain starts, they burn their fields in preparation for planting again. Air quality can get pretty bad. As we continued up the river we observed fires burning along the way. After a 3.5 hour ride we arrived at the lovely little town called Tha Ton. Up on the hill are 9 levels of temples to explore. The town is small and the people here are wonderful. We are home again for a little while. Yummmm, Bugs for dinneer!!! I don’t know if I could be so brave to try that. 🙂 Beautiful pictures. 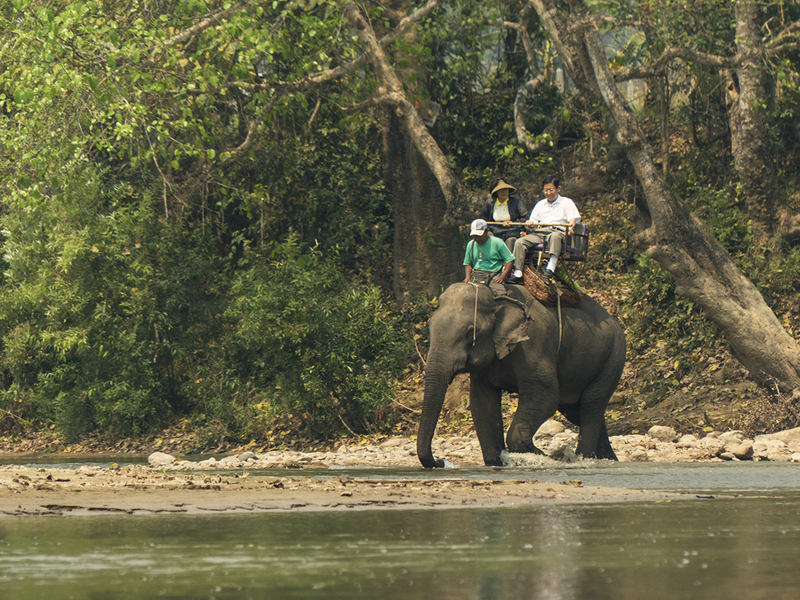 Have you been able to interact with elephants or ride? The boat ride and market look wonderful. Thanks for writing/sharing your adventure! No, whenever I have been close to the elephants I have felt bad for them. 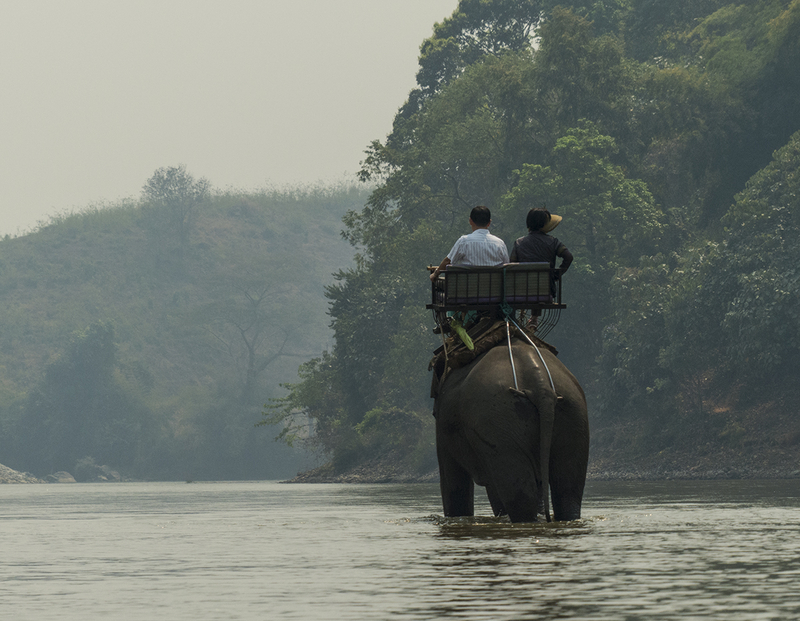 There are some elephant camps that really care, still looking for one of those.